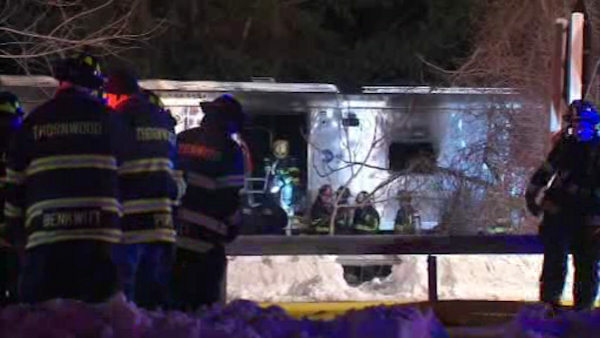 Josh Einiger has the latest from Valhalla, where a Metro-North train collided with an SUV on the tracks. VALHALLA, N.Y. -- Metro-North officials say seven people have been killed after a train hit a vehicle Tuesday night on the Harlem line in Westchester County. The accident happened at about 6:30 p.m. in Valhalla. A black Jeep Cherokee was struck on Track 2 by the 5:44 p.m. northbound from Grand Central due Southeast at 7:08. The train shoved the car about 10 train car lengths north, according to the railroad. The railroad crossing gates came down on top of the vehicle, which had been stopped on the tracks. The driver got out to look at the rear of the car, then she got back in and drove forward and was struck. Westchester County Executive Rob Astorino says that seven people were killed. Horrific scene. 3rd rail totally through front train. Heavy fire and smoke damage. At least 7 dead and 10 hurt. Pray for the deceased. 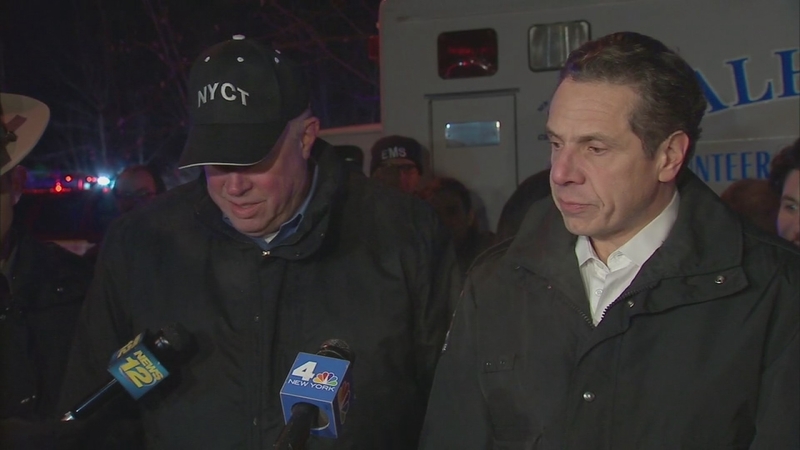 Governor Andrew Cuomo confirmed that six of the dead were passengers on the train. He and MTA Chairman Thomas Prendergast held a press conference late Tuesday night. New York Governor Andrew Cuomo and MTA Chairman Thomas Prendergast talk about the fatal Metro-North crash with an SUV in Valhalla. Apparently the third rail pierced the train but did not hit any passengers. A.J. Ross reports from Westchester Medical Center. At least 750 people were aboard the train at the time, and the passengers were evacuated. At least 10 people were believed injured. The extent of their injuries are not yet known. The northbound train struck the jeep at the Commerce Street railroad crossing as it headed for its first stop in Chappaqua. The vehicle and the front of the train caught fire. There were flames coming from every window of the first car after it struck the vehicle. One commuter describes "panic" aboard train, rush to safety. Saw passenger with bloodied face. #BREAKING #abc7NY. About 400 passengers were taken to a local rock-climbing gym for shelter, the Cliffs. Buses are en route there to get to them to Pleasantville. Marcus Solis has the story of terrified passengers who were on the Metro-North train. Among the passengers was Justin Kaback, commuting home to Danbury, Connecticut. "I was trapped. You know there was people in front of me and behind me, and I was trapped in the middle of a car and it was getting very hot," he told ABC News. "All the air was turned off so there was no circulation so it was definitely scary especially when people are walking by on the outside and they said, 'The train's on fire. There's a fire.'" Harlem Line service is currently suspended between North White Plains and Pleasantville. Shuttle train service is being provided between Southeast Station and Pleasantville. All northbound service out of Grand Central Terminal ends at North White Plains. 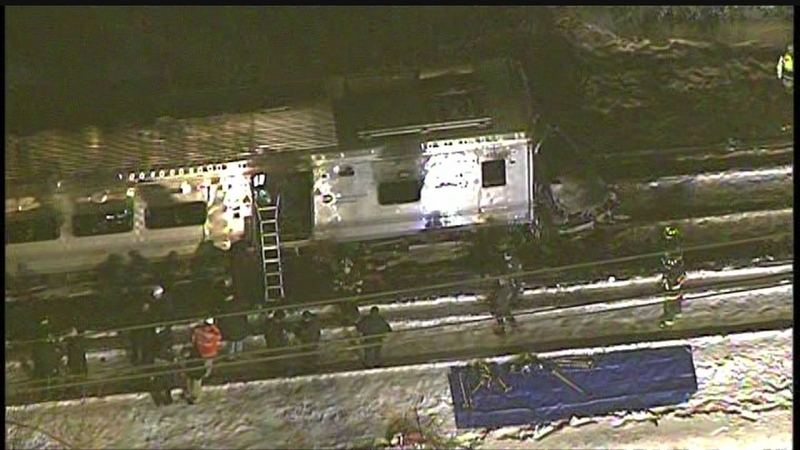 Newscopter 7 flew over the scene of the crash between a Metro-North train and Mercedes SUV in Valhalla. 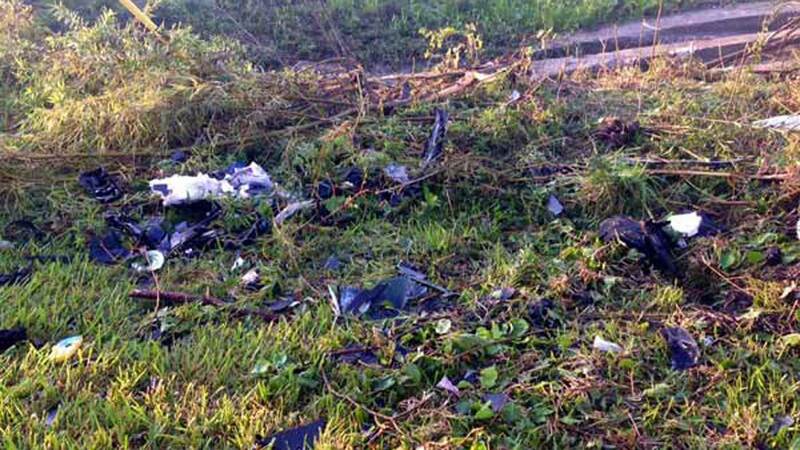 Several people were injured and killed in the crash. "Our hearts go out to those lost, we pray for those injured and our hats are tipped to the brave first responders who came to the scene of this tragic crash so quickly. I have spoken to Tom Prendergast, who has assured me that a full and thorough investigation has already begun. "At this early stage, it is premature to point any fingers of blame, but there are many important questions that must be answered in the coming days." Metro-North is the nation's second-busiest railroad, after the Long Island Rail Road. It was formed in 1983 and serves about 280,000 riders a day in New York and Connecticut. Service on its Harlem Line was suspended between Pleasantville and North White Plains after the crash. Metro-North has had many recent accidents. Late last year, the National Transportation Safety Board issued rulings on five accidents that occurred in New York and Connecticut in 2013 and 2014, repeatedly finding fault with the railroad while also noting that conditions have improved. Among the accidents was a Dec. 1, 2014, derailment that killed four people, the railroad's first passenger fatalities, in the Bronx. The NTSB said the engineer had fallen asleep at the controls because he had a severe, undiagnosed case of sleep apnea.